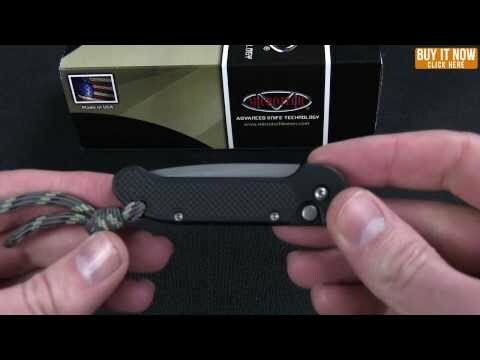 The Mini UDT is the smallest size of Microtech's popular U.D.T. 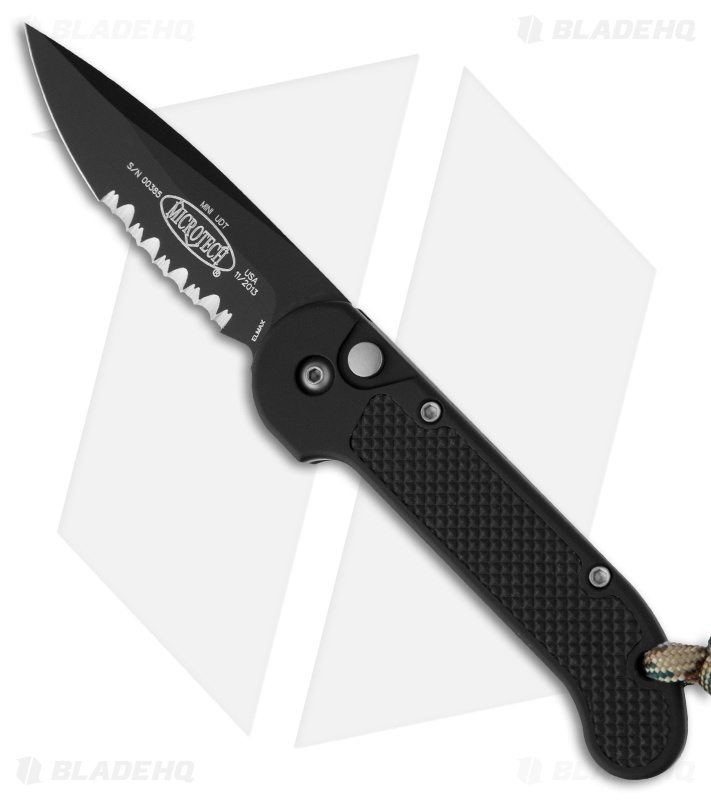 (Underwater Demolition Team) automatic knife. It features an aluminum handle with textured rubber inserts and lanyard. 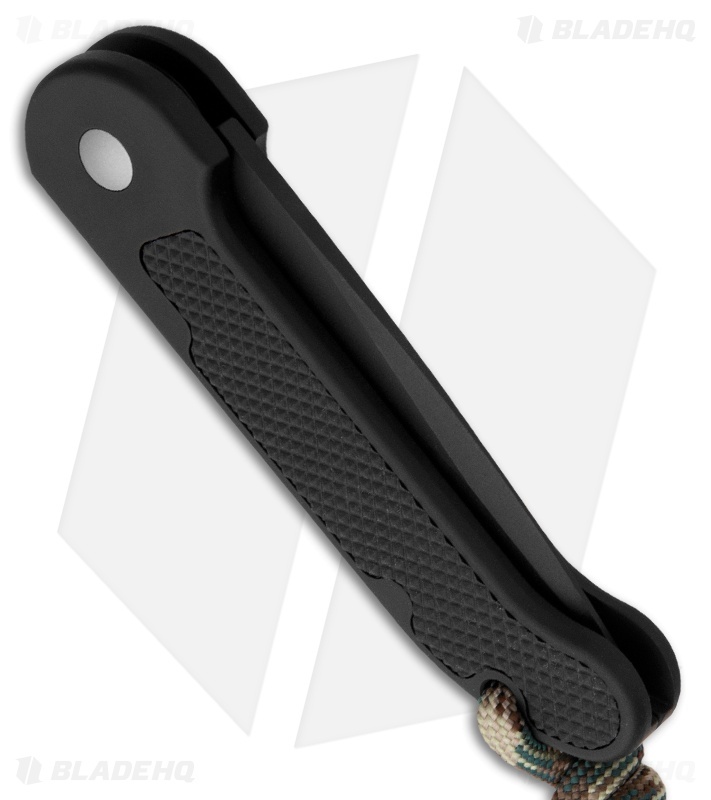 The drop point blade is black finished with a partially serrated edge. The action on the Mini UDT knife is super fast and the lockup is rock solid.